This staircase with Ash strings, Newels and Handrails uses the new Baluster fixing. The new Baluster fixing shown on the Birgit staircase offers a contemporary looking staircase, the handrails and balusters used on this staircase are bespoke. 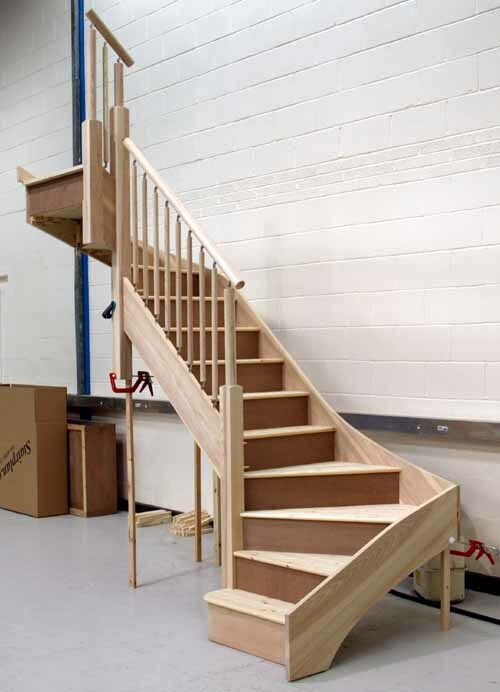 This picture shows a Ash staircase with cut strings to both sides. 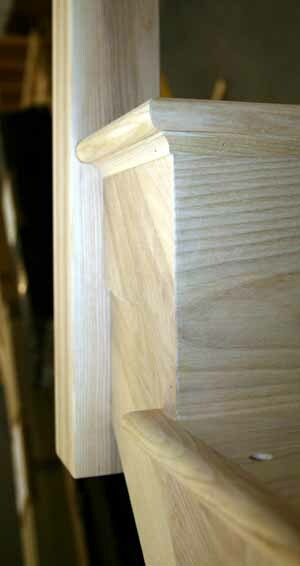 Cut string detail showing under nosing scotia detail. We use traditional methods of construction. 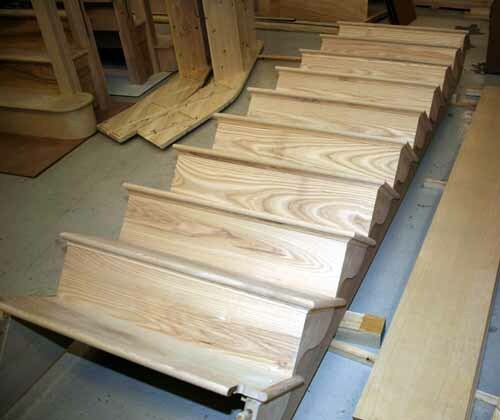 On the Bespoke high spec staircases we can offer the option of under stair paneling. 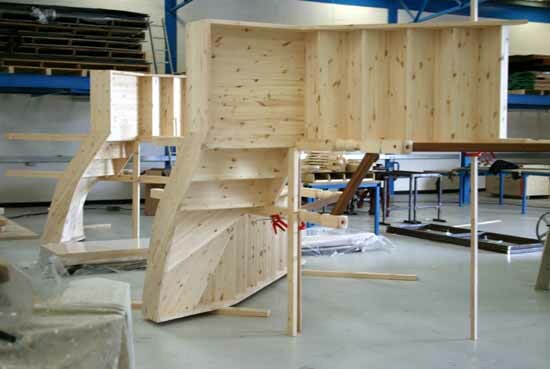 Our new assembly workshop has multiple staircases being assembled at all times. 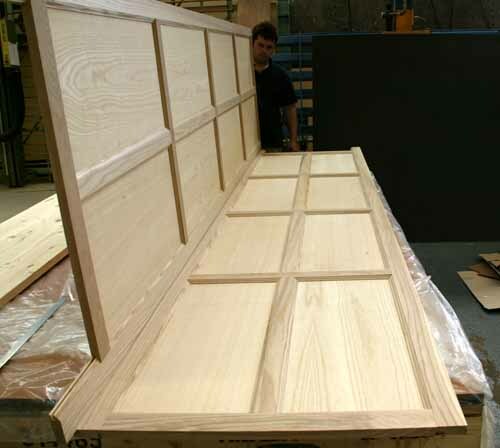 When a staircase is specified with handrails the handrails are cut and jointed to the newel posts unless otherwise stated. 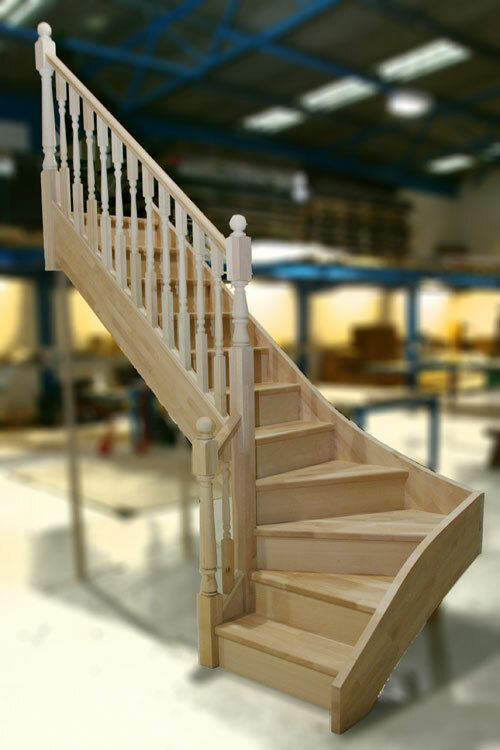 This Winder Staircase is manufactured with Engineered Beech Strings & Treads , Beech faced Plywood Risers and the stairparts are from thr Standard Beech range.